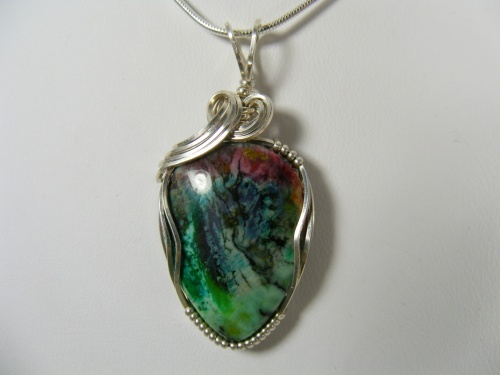 This pretty parrot jasper gemstone has reds and greens going through it to make it so different and unique. Stone is sculpted with sterling silver swirls to enhance its beauty. Measures 1 1/2" by 3/4" for those of you who dont like big stones this is it. Comes with a sterling silver snake chain.